Discussion in 'Cars in General' started by GTPNewsWire, Jan 20, 2019. This article was published by Joe Donaldson (@Joey D) on January 20th, 2019 in the Cars category. Scaff and Danoff like this. I wonder how people who live in urban and suburban areas(northern hemisphere) with all seasons tires on their 4wd vehicles replaced them with winter tires in the winter? I see it more with 2wd vehicles then 4wd. I see people with 4wd vehicles in winter with nearly bold tires. What is this snow thing you speak of??? Now really, sliding around in empty "parking lots" as a suggestion as long as you have permission. I'm living in the wrong place! I've been told off for sliding around to much on paid wet skid pan days. Thanks to climate change we've had no snow at all this winter, it's kinda weird, but personally I like it better this way, less accidents and less things to worry about while driving. In Sweden it’s mandatory to go to a skid pad when you take your driving license. My instructor told me that the best thing to do if you skid is to brake and steer in the direction where you want to go. With ABS you should slam the brakes and let the system do what it’s meant to do. Why? Because braking reduces the energy if you crash and because most drivers don’t have the experience needed to recover from a skid, so by not braking chances are greater that you crash and when that happens you will also crash at a higher speed. And that video, was great. I didn't know how a descend can screw you like that... I sometimes have nightmares that I want to stop the car but no matter how hard I brake and no matter how I pull the handbrake, it will always keep going slowly. After all, it can be real Glad it doesn't snow where I live. Jordan and BallPtPenTheif like this. If this happens, remember those famous words from the Encyclopedia Galactica and “Don’t Panic”. @Joey D The Encyclopedia Galactica was outsold by the Hitchhiker's Guide to the Galaxy because the Guide had the words "Don't Panic" inscribed in large, friendly letters on its cover. Joey D and TexRex like this. Exactly. The first one says it all. Saw that one two weeks ago. 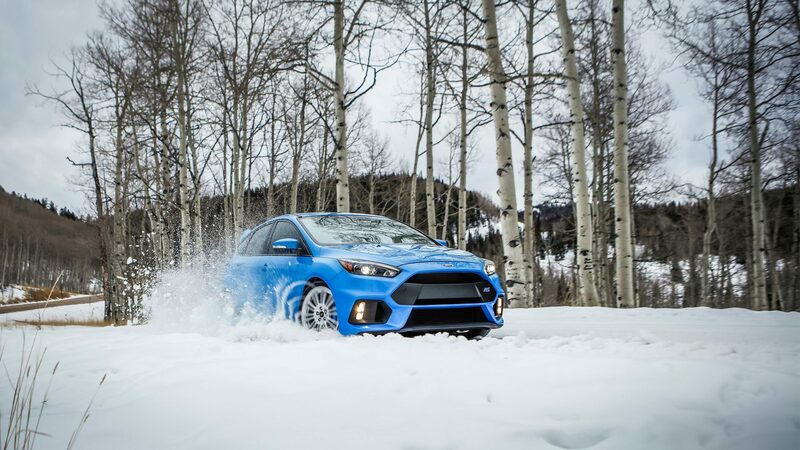 AWD is worthless if you don't have the traction to put it to use. Anyway, where I live, winter tires are mandatory in winter. But even then, it's a good rule mentioned in the article, that drive only when you have to. I was recently just in the supermarket and even with winter tires and AWD, taking a turn and braking was almost impossible and on uncleaned roads. These comparisons are just stupid and not even remotely fair, summer tires are already horrible and lose traction in cold weather minus any snow/ice. This isn’t true. ABS pumps the brakes too fast in snow and ice and is just like locking up the brakes, you will not be able to steer, just slide straight forward. The other thing people need to keep in mind is to make sure you’re looking where you want to go, not what you would like to not slide into. If you are staring at would you would not like to hit that is where you will end up. It's kind of hilarious when it snows here, because it really is so uncommon. That said, I've never seen any serious accidents--much less been in any--that resulted from snow here. But that was my intention, to show that winter tires to beat winter on the road. It's also stupid for people to leave them on all winter if they live any farther North than Pennsylvania; usually because they bought a Subaru or whatever and they'll be fine. Hehe, I installed my winter tires today on my little Fiat 500. It is going to snow according to the weather forecast. This isn’t true. ABS pumps the brakes too fast in snow and ice and is just like locking up the brakes, you will not be able to steer, just slide straight forward. I have no trouble using all-seasons in winter. Never saw the need for dedicated winter tires on any vehicle I have driven. *Me gets popcorn and reads this hilarious article how amateurs teach more amateur people to drive on snow. Oh well, I think I have to clean snow from my car, fire it up and drive 100km at work in -27C warm weather (today). On this time I might even wear gloves. While I'm not a professional snow driver (is there such a thing), it's not like I'm an amateur at it. I grew up in East Michigan then moved to West Michigan where it's notoriously snowy due to Lake Michigan. I now live in Northern Utah that gets both lake effect snow and mountain snow at the same time, just yesterday we got a foot. When it comes to winter driving, I'd say I'm fairly qualified having experienced driving in it for over 15 years. The ABS thing is not true. I've done a snow driving course with and without ABS in the same car with the same tires (an ABS shutoff switch was installed). When you enter a slick turn, you'll lock the front tires under braking and have zero turning capacity until you let them roll (pointed forward) and re-initiate the turn. It's very difficult to do when you're approaching a wall of snow quickly to tell yourself you have to let off the brake and pump. It's not a natural instinct for the uninitiated. Conversely, in the same car with ABS I could steer under full braking because the ABS allowed the tires to roll. ABS makes a massive difference in slick conditions, and allows someone without large quantities of driving experience in slick conditions to respond properly. Mash the brake and turn the way you want to go - ABS responds well. Do the same thing without ABS and you're going to plow through the turn. In the worst conditions, you may have to straighten the wheel and try again (slower) to turn even with ABS, but that is still more intuitive (though not very intuitive) than taking your foot off the brake when you're coming in too hot. You must not live someplace where the winters are significant, or have no idea what's possible with winter tires. Maybe you just do a really good job of not using your car in bad conditions. That's not really the case any more. Unless there's thick snow to pile up in front of the treads ABS will almost always result in a quicker stop than not having it - and give you a degree of steering control during the event. Most modern ABS setups, linked to traction and stability control systems, are better at measuring wheel speed than they used to be too, so won't just needlessly pump the brakes irrespective of traction (or lack thereof). I've done several snow and ice driving events over the last few years and I've always been glad of having ABS. It's amazing how slowly a car stops on ice, but it's also amazing how quickly a car stops and how much control you have on ice with a good braking system and ABS. The other thing people need to keep in mind is to make sure you’re looking where you want to go, not what you would like to not slide into. If you are staring at would you would not like to hit that is where you will end up. This bit is definitely true however. Getting target fixation will never end well, and steering inputs will be smoother and more accurate if you look where you want to go. I understand that but the video shouldn't have compared the summer to winter tires in the winter/snow, it should have showed how inefficient summer tires in the winter/snow. It's my fault they're stupid to understand what summer tires are. Let natural selection take its course. Isn't that what the video shows? The inefficiency of summer tires on snow by comparing it with winter tires. There has to be a reference point to show how inefficient these tires are and the car with winter tires is the reference. I'm in the suburbs of Chicago. We see plenty of snow/ice and extreme cold in winter. Never had a problem making it through with regular all-season tires. The winter tires that came with my Legacy are not that much better on snow or ice than the all-season tires I typically buy. There's a huge difference between all-season tires that are better or worse on snow/ice. Of course, the same is surely true for winter tires, and maybe the ones I ended up with aren't great. That's what I would add to the advice on tires -- after finding the options for your vehicle's tire size, look up reviews or customer scores for how well the tires actually perform on snow/ice. Naturally, the design, compound, and quality of the tread matters more than the label attached to it. Then drivetrain should have been the same and shouldn't be a factor in the test. In the 1st the guys fails to mention the rubber component in the summer tire makes it inefficient in cold weather. It seems he comparing more awd to winter tires for most of the test and even in his conclusion at the end he says winter tires are better and safer in winter then AWD. That's great. I'm glad that you've never had a problem "making it through". Winter tires are just much safer in those conditions - at least one of those videos compares winter to all season. I would assume winter tires would perform better in...winter. As I stated before I never felt the need to have them on any vehicle I have driven. Have you ever driven on winter tires in poor conditions?